I just wanted to say thank you to all of you who link up each week and share your wonderful posts. I can't wait to see what you will be sharing this week. As the weather warms up, many of us are thinking about planting flowers or vegetables. Are you planting? I don't plant many vegetables except for tomatoes, but I do like my herbs. Do you like fresh herbs? 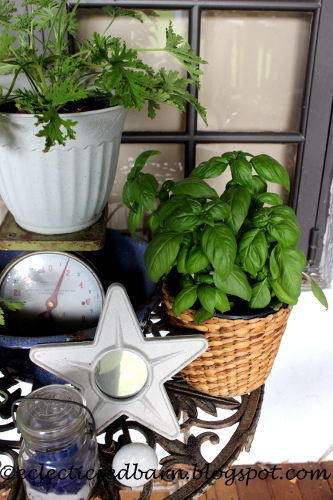 I love being able to go outside and get fresh herbs to cook with. It is time for Over the Moon Party and I am so excited to be hosting with these other fabulous ladies. 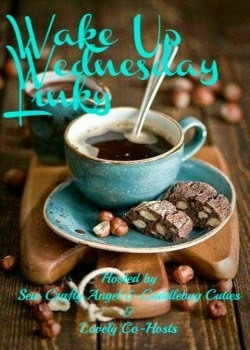 This is my first week at this awesome party so I hope you join me and the other hosts by sharing your wonderful posts. Welcome to the Over the Moon Link Party! You can link up any family friendly posts without profanity. Have a post you want to give more reach? Need some comments or shares? Want a post that's close to going viral takeoff like a rocket? Now is the time to link it up! We pin EVERY link you leave and may even share on other sites as well! So come on in, be one of the first to link up, and remember to go Over the Moon with us! We'd like to welcome Bev from Eclectic Red Barn to the Over the Moon Link Party! Statistics for Over the Moon Link Party #24 saw 379 pageviews, 149 links, and 300 clicks on those links. We are looking for someone, who is willing to host the Over the Moon Link Party on their blog every week. Code and links are sent out each week and all you have to do is cut and paste into a post. If you're interested in being a host, please complete the contact information HERE. At least one of the hosts will be commenting on every blog post that you share. They will be pinned to the Over the Moon Pinterest Board and may be tweeted, shared on Facebook, Google+, and other social media sites. We'll have Featured Bloggers, chosen by the hosts, and the Most Viewed Link. Please be sure that you grab your Feature or Most Viewed button to flaunt your award. Happiness Is Homemade Linky Party!